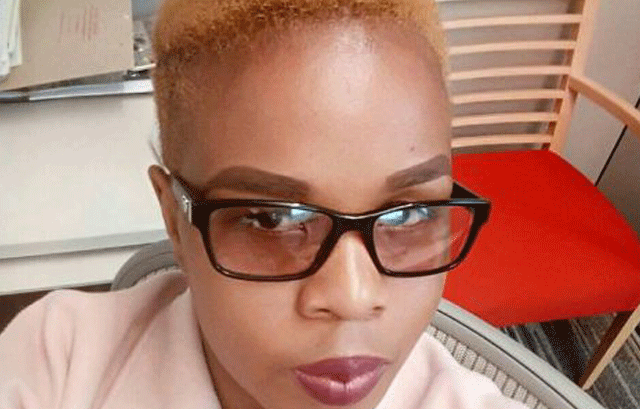 Former Eswatini Broadcasting and Information Services (EBIS) radio personality Thandiswa Ginindza owes government an amount of E757 848.27. Ginindza owes the money in respect of several anomalies that were detected by Auditor General (AG) Timothy Matsebula, in his 2018 report. She owes E39 145.74 (in respect of salary non-staggering), E665 477.58 (breach of bonding agreement with government), E1 030.63 (non-settling of scholarship debts), E13 048.58 (salary overpayment), and E39 145.74 (unserved notice pay). Ginindza now works for the USA embassy, having last worked for EBIS on October 30, 2018, according to the report. Ginindza tendered a resignation letter on August 16, 2018 and further stated that her resignation was with effect from the same date. However, she noted that she would serve her three months’ notice until October 16, 2018. However, the former radio personality was denied an authority to resign on October 29, 2018 because she was still serving a bonding agreement she entered into with government in 2015. She was required to settle the agreement before exiting public service. However, she last reported for duty on October 30, 2018. Ginindza, according to the report, had an outstanding debt, which resulted from the early stoppage of mandatory salary staggering of E39 145.74. The salary staggering covered a period from September 2017 to February 2018, at the rate of 50 per cent of her basic salary, while she was away on long-term study leave, pursuing a Batchelor of Arts Degree in Strategic Communication. The non-salary staggering was cited in a memorandum from the ministry of public service to the principal secretary in the ministry of information, communication and technology (ICT) ,referenced HRD and dated October 16, 2018. Ginindza is said to have also breached the bonding agreement between her and the government, which she signed on February 17, 2015. As per the bonding agreement (Operative Clause 6), she was required to serve the public service for five years after the completion of her training, which covered a period from March 2018 to February 2023. As a result of breaching the bonding agreement, Ginindza now owes E665 477.58 in respect of re-imbursement, since the academic investment made on the officer yielded no benefits of improved service delivery through the skills that she obtained from training. Furthermore, Ginindza was also indebted to government an unrepaid study loan amounting to E1 030.63. This was in respect of a scholarship she had received for studying a diploma at the University of Swaziland (by then), which she had not fully settled at the time she exited public service. In addition, the officer had an obligation to pay a total of E39 145.74, which was equivalent to three months’ pay in lieu of unserved notice, in line with Sections A187 and A188 of the Government General Orders. Ginindza, according to the report, also received a November salary of E13 048.58, yet she last reported for duty at EBIS on October 30, 2018.